Caroline Porsiel is founder, chief executive officer, and the strategic mind of Atlanta Bourbon Company. She is a master distiller and has been a member of the American Distilling Institute since 2015. Caroline is passionate about quality bourbons and eau-de vies produced with German quality understanding. She worked with Janos Sivo, Maître distillateur of Maison Sivo Distillery in Canada and created and runs the largest, online database of distilleries, breweries and wineries worldwide (www.distillery.news). Prior to starting Atlanta Bourbon Company, Caroline worked in international project management and emerging market intelligence. As an experienced entrepreneur and business owner in Germany as well as in the United States, Caroline set out to create Atlanta Bourbon Company with a true craft distilling concept, a German style apprentice system and distilling school in three phases. 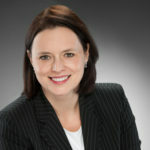 Caroline earned her magistra atrium degree in politics, economics and psychology at the RWTH University of Aachen in 2000. She is member of the Atlanta World Trade Center and resides currently in Roswell, Georgia with her family and dachshund Jupp. Richard Storrs serves as corporate secretary and general counsel to Atlanta Bourbon Company. Richard graduated with honors from the University of Georgia and its law school, where he served as Notes Editor for the Georgia Law Review. He has practiced law in Atlanta since 1984. 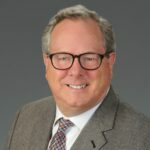 Richard has considerable experience in helping clients resolve business disputes. He also has also focused his practice on helping business clients organize their business entities, and assisting clients with general business advice and structuring their contracts. Richard has applied the knowledge learned from decades of law practice to help parties resolve their disputes through mediation and arbitration, and is particularly passionate about serving as a mediator. Richard has enjoyed teaching as an adjunct at the University of Georgia School of Law, and the Georgia State University College of Law. He serves on the Advancement Committee of the Phoenix District, Atlanta Area Council, Boy Scouts of America. 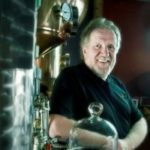 Frank founded Okanagan Spirits Distilling in BC, Canada and quickly gained international recognition as a master distiller. He mentored several other successful distillery start-ups and kick-started modern craft distilling in British Columbia, Canada. He is specialized in product development and branding of craft distilled specialty spirits, as well distilling equipment. 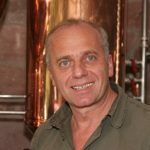 Bernd is CEO of Müller Pot Stills in Germany. The medium-sized family business in 3rd generation has a long tradition. They are specialized in development and manufacture of craft distillery units. Müller craft distillery plants are particularly suitable for the production of fully aromatic spirits and each unit is individually planned and built accordingly to the customer’s needs and wishes.